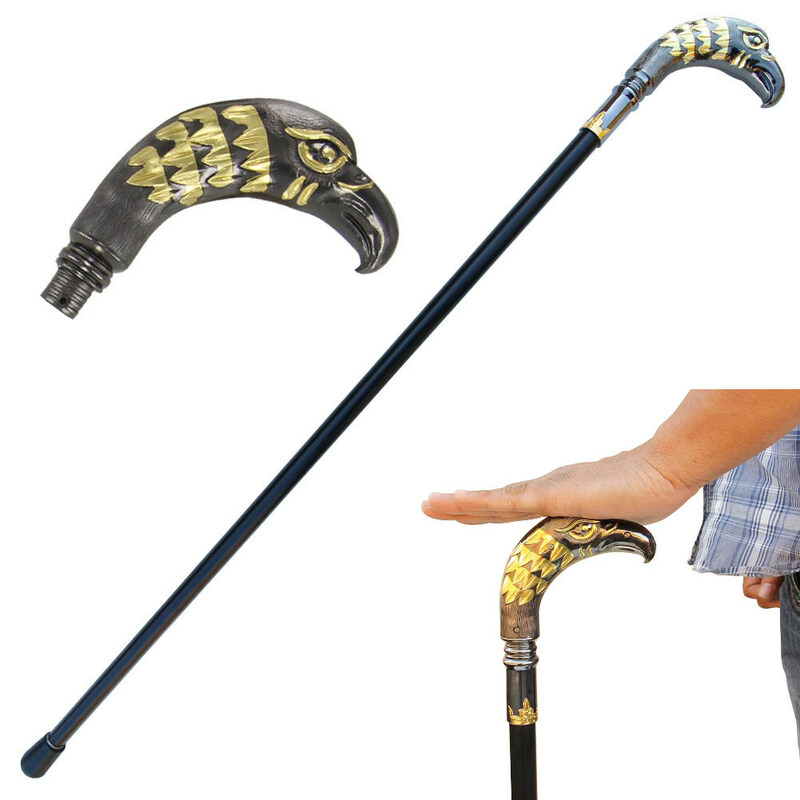 Majestic Golden Eagle Walking Cane. The handle is just a piece of art with all the intricate detailing. It is made from zinc aluminum with a metallic finish and golden accents. 35 Inches overall in length.